Introductory $59.00 Monthly Unlimited if purchased during your first time to the Centre! 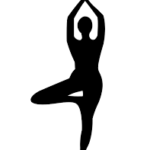 All Yoga Classes are 1 hour adult classes unless specified. The Lodge will be open 30 minutes prior to class start. All Classes at this time are with Danielle. Additional instructors will be added. When purchased during your 1st visit to the Centre! All Other Yoga classes do not have a mandatory pre-sign in at this time. Please join us minimally 5-10 minutes before class start, and earlier if you have never been to our Centre before (waiver to be signed) or are coming with multiple yogis to our Sunday Family Class. Additional Yoga & Movement Classes will be added…Yoga and Movement Schedule will be updated monthly based on optimum interest and attendance. Yoga is also incorporated into the 8 Week Kids After School Program.